RTL Design using Verilog (Bridge Course for non VLSI Engineers). RTL Verification using System Verilog. IC Layout design and optimization techniques (Full Custom Layout Design). Static Timing Analysis of VLSI Designs. ASIC Physical Design (PD) for Deep Submicron process nodes. ADEMS is a 16 weeks full time program designed to meet the requirements of the current job market. The program comprises of two phases. Phase one covers the fundamental and domain specific concepts in Embedded Systems design. Phase two is the project phase where you get an opportunity to apply design concepts learnt in phase one by working on real life projects under the supervision of industry experts. The contents of the course is designed to make you eligible to apply for hardware designer, software developer, firmware developer and network stack developers job openings. A key differentiator of our program is the use of advanced microcontrollers, microprocessors and use of multiple hardware boards in the course. A very strong foundation of C, C++ and Data Structures is a must for any further advanced topics such asBSP Development, Porting and Device Driver Development. Technical round of interview in the industryprescribe a sound knowledge of C, C++ and Data Structures. With C++ becoming the new standard andpopular programming platform, students are required to showcase expertise in the same. This also enables candidates to work on Embedded System Design and Development Projects.. This module enables candidates to understand in detail the Linux Internals, Linux OS Structure and Architecture. This is a platform to develop System Programming Skills. A sound understanding of Processes, Kernel Programming and IPC is a requisite for efficient embedded system Design and Development. As BSP Development for custom boards is a major industry requirement, candidates learn from basics of boot loader, ELDK, Development of Kernel for specific Processor and Peripherals. This shall give candidates the required skills to work on core Embedded System Design with the Linux Platform and eventually the RTOS platform. This module shall enable students to know in detail about Linux System Programming, Device Driver Development, Building Kernel, Handling File Systems, Process/Priority Scheduling. This will enhance their knowledge in designing efficient Embedded Systems and is a skill desired by the industry. With all the programming skills acquired in the earlier modules, industry expects candidates to also know System Design/Development, Integration, Testing and Debugging. This module provides the exposure to meet industry requirements. Design and deliver custom training solutions meeting your company needs. Successfully delivered training for CISCO, ARM, MENTOR GRAPHICS, PHILIPS, WIPRO, NXP Semiconductors and Cortina. This one-day class is a general introduction to the VHDL language and its use in programmable logic design, covering constructs used in both the simulation and synthesis environments. By the end of this course, you will have a basic understanding of VHDL so that you can begin creating your own designs, using both behavioral and structural approaches. In an effort to maintain quality, RV-VLSI reserves the right to change or modify the course content and the duration of the course and the course fees. This class is a general introduction to the Verilog language and its use in programmable logic design, covering the basic constructs used in both the simulation and synthesis environments. By the end of this course, you will have a basic understanding of the Verilog module, data types, operators and assignment statements needed to begin creating your own designs, using both behavioral and structural approaches. ADAD Full Custom is designed to make you a competent and productive Analog Layout Engineer. The course enables you to acquire knowledge, skills and practical experience across the entire backend Full Custom Flow (Circuit to tape-out). The course covers key fundamental concepts of ASIC Physical Design methodology which will enhance the employability of the students. The “In Class” Sessions, Lab exercises and Industry Standard Projects that our students are put through instills confidence and the analytical abilities required to work on complex industry’s challenges in various Deep Sub-Micron Technology Process. Exposure to the use of Physical Design tools familiarity with timing closure and related topics are covered. Using physical IP in a PD Environment. Our placement record in VLSI has been an impressive 90%. After completion of this course you may be eligible to apply for Backend full custom layout design jobs. Complex VLSI designs support many features. Ensuring the RTL Design is bug free before it is convereted to a netlist is the job of a RTL Verifiction engineer. System Verilog is used widely to verify the functional correctness of VLSI design. - Engineers looking for RTL verification jobs. ADEMS is a 16 weeks full time program designed to meet the requirements of the current job market. The program comprises of two phases. Phase one covers the fundamental concepts in Embedded Systems and domain specific modules. Phase two is the project phase where you get an opportunity to apply design concepts learnt in phase one by working on real life projects under the supervision of industry experts. The contents of the course are designed to make you eligible to apply for hardware designer, software developer, firmware developer and network stack developers job openings. A key differentiator of our program is the introduction of advanced microcontrollers and use of multiple hardware boards in the course. This module covers embedded hardware architecture using a experiential learning pedagogy. Expertise with low level programming will be gained in this module. This knowledge is essential to get a job in the industry as Embedded C developers or Software developers (with a suitable project experience as part of the course). In this module LPC2148 boards & Keil IDE tool bundle is used. This module covers firmware and low level driver development concepts. Expertise with firmware design microcontroller driver development will be gained. This knowledge is essential to get a job in the industry as Firmware developers,Micro controller driver developers. (with a suitable project experience as part of the course). In this module LPC1788 based boards and KEIL IDE bundle is used. In this module covers the embedded software development & Testing flow. In this module covers several Networking concepts like TCP/IP, UDP, IPV4 etc., and Wireless communication protocols. This knowledge is essential to get a job in the industry as Networking Engineers, Network Stack Developers positions (with a suitable project experience as part of the course). Engineers will work on a project in any one of the following domains or combination of domains. Our projects are well accepted by the industry for their complexity and industry relevance. During the project phase our students gain confidence and experience because of the experiential learning environment at RV-VLSI. Industry experts continuously monitor the progress of the project and provide critical feedback which will help you build an industry standard resume and face interviews with confidence. Designing a VLSI chip using FPGA's are very popular these days. This program is a foundation course for working professionals looking for a job change to the core industry and for engineers in the core industry looking for a lateral change. This program introduces you to the concepts of system design, RTL design using Verilog, programmable ASICs and the role of programmable ASICs in design and development of high density complex IP designs. The course also focuses on the real and practical scenarios using modern FPGA architectures. The course will conclude with an industry oriented project work under the supervision of our expert leads. - VLSI Engineers seeking lateral shift to a front end job. * Industry standard sign-off tools from multiple EDA vendors. * All courses will be delivered by VLSI professionals with hands on experience taping out multiple chips used in industry. We have one of the best placement assistance programs; enquire at the center for details. Duration: 6 months full-time program. Please enquire at the center for other details. IC Layout design methodology is used to design the layouts of Physical IP such as Standard Cells, Memory cells, IO’s and analog blocks which are used in a VLSI chip. This program introduces you to the layout design and optimization techniques commonly used in the industry to design layouts for DSM process nodes. Industry standard EDA tools will be used extensively.Topics such as Device Matching, DFM, Latch-up and ESD guidelines are covered. Every participant will get the opportunity to practice concepts taught in the class during the concept labssessions. The course will conclude with a project done under the supervision of our leads. In this class,youwill improve your proficiency in writing Synopsys Design Constraint (SDC) files and performing timing analysis using the TimeQuest timing analyzer in the Quartus® II software v. 11.1. You will also learn how to automate the process of constraining and analysis by writing customized Tcl script files. Learn the best ways to maximize productivity throughout the FPGA design cycle, while also maximizing design performance. Using a recommended design methodology as a framework, see what is involved at a high level in preparing to create an FPGA design and what is required to implement it - from the creation of the design specification all the way to final sign-off. In this class,youwill learn advanced features of the Quartus® II design software v.11.1 that will enable you to shorten your design cycle as well as improve your design performance and utilization. This course will teach you how to design in a soft core embedded processor with an Altera FPGA. This course is focused on the hands-on development of Nios® II processor-based systems using a Nios II Development Kit. You will learn how to integrate a Nios II 32-bit microprocessor and test it in an Altera FPGA. This course is targeted at Software Engineers or Developers. You will learn to develop and run embedded software for the Nios® II processor in the Nios II Software Build Tools for Eclipse and with the Nios II Command Tools. This class will teach you how to quickly build designs for Altera FPGAs using Altera’s Qsys system-level integration tool. You will learn how to build hierarchical systems, how to quickly integrate IP and custom logic into a system, and also how to optimize designs for performance. Since Qsys makes design reuse easy through standard interfaces, we will dive deeply into the Avalon-Memory Mapped and Streaming Interfaces. 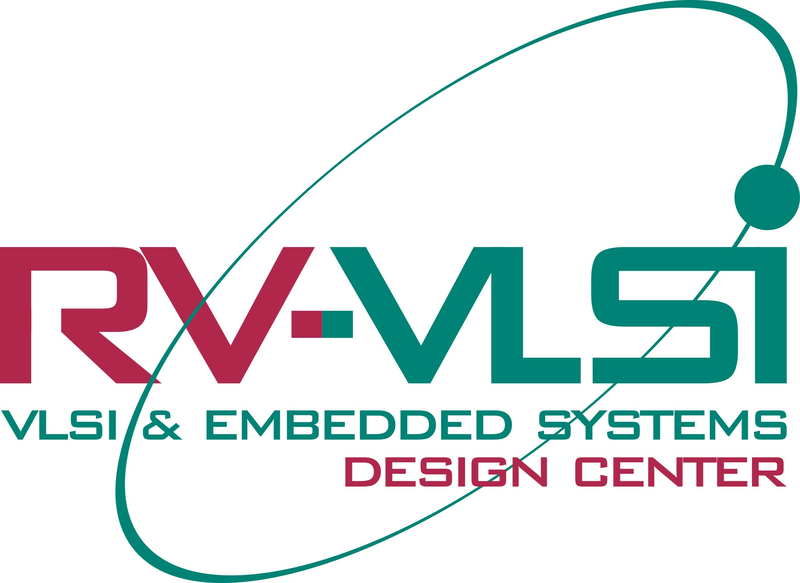 RV-VLSI reserves the right to change or modify the course content and the duration of the course and the course fees. In this class,youwill learn & practice efficient coding techniques for writing synthesizable VHDL for programmable logic devices (FPGAs & CPLDs). While the concepts presented will mainly target Altera® FPGA devices using the Quartus® II software, many can be applied to other devices & synthesis tools. In this class, you will learn how to constrain & analyze a design for timing using the TimeQuest timing analyzer in the Quartus® II software v. 11.1. You will see how the TimeQuest timing analyzer makes it easy to create timing constraints to help you meet those requirements. Static Timing Analysis is one of the critical steps in the ASIC design flow. The timing correctness of the design is checked in this step. This program introduces the timing concepts needed to verify the timing correctness of ASIC Design Blocks. Timing issues typical to Deep sub-micron process nodeswill be covered in detail. Industry standard tools will be used in the labs. Importance of design constraints, timing exception, Setup and Hold checks for multimode multi corners will be discussed. OCV and AOCV issues are covered. Due focus on Signal Integrity and pre and post layout timing validation is given. - VLSI Engineers seeking lateral shift to a back end job. - Engineers looking to work for Block level Physical Design Implementation, Place and Route job profiles. This program introduces you to the concepts used to design Chip-level and Block Level ASIC Layoutsfor Deep sub-micron process nodes using industry standard AP&R (Synopsys) tools. The various implementation steps from Netlist to GDS2 will be covered in detail. Every participant will get the opportunity to practice concepts taught in the class during the concept labssessions. The course will conclude with a project done under the supervision of our leads. - Engineers looking to work for Block level Physical Design Implementation, Place and Route job domains. By attending The Quartus II Software Design Series: Foundation course, you'll learn how to use the Quartus® II software v11.1 to develop an FPGA or CPLD design from initial design to device programming. In this class, you will learn features of the Quartus® II software v. 11.1 that will enable you to analyze and debug your Altera® design. You will get to understand power analysis tools, and other tools like Simultaneous Switching Noise (SSN) Analyzer, SignalTap® II embedded logic analyzer, Signal Probe & the Logic Analyzer Interface. You will learn to analyze and make changes to your design using the Chip Planner. ADAD frontend Verification is designed to make you a competent and productive VLSI Verification Engineer. The course enables you to acquire knowledge, skills and practical experience in RTL Verification using System Verilog and UVM. The “In Class” Sessions, Lab exercises and Industry Standard Projects that our students are put through instills confidence and the analytical abilities required to work on complex industry’s challenges in various Deep Sub-Micron Technology Process. After completion of this course you will be eligible to apply for Frontend RTL Verification jobs. ADAD Physical Design is designed to make you a competent and productive Physical Design Engineer. The course enables you to acquire knowledge, skills and practical experience across the entire Backend ASIC Flow (Netlist to GDSII). The “In Class” Sessions, Lab exercises and Industry Standard Projects that our students are put through instills confidence and the analytical abilities required to work on complex industry’s challenges in various Deep Sub-Micron Technology Process Nodes. After completion of this course you will be eligible to apply for ASIC Physical Design Engineer jobs. VLSI Engineers seeking lateral shift to a front end job. Engineers looking for RTL verification jobs. Engineers familiar with RTL verification using Verilog looking to acquire skills in System Verilog. VLSI Engineers seeking lateral shift to a back end job. Engineers looking to work for Block level Physical Design Implementation, Place and Route job profiles. Industry standard sign-off tools from multiple EDA vendors. All courses will be delivered by VLSI professionals with hands on experience taping out multiple chips used in industry. Engineers looking to work for Block level Physical Design Implementation, Place and Route job domains. A very strong foundation of C, C++ and Data Structures is a must for any further advanced topics such asBSP Development, Porting and Device Driver Development. Technical round of interview in the industryprescribe a sound knowledge of C, C++ and Data Structures. With C++ becoming the new standard andpopular programming platform, students are required to showcase expertise in the same. This also enables candidates to work on Embedded System Design and Development Projects. Thank you for showing interest, We will get back to you with in 24 hours, Pleaes check your email for further details. Our faculty come with substantial experience from the core industry, They have worked with many successful teams developing cutting edge embedded system products. They will teach from their numerous years of industry experience which will ultimately help you understand the subject from an industry perspective. This will eventually help you perform well in written tests and significantly boost your confidence to answer tricky questions during the interview. Our faculty will also share with you valuable insights and guide you to prepare a technically accurate resume that will impress the prospective employer. The resume will have all the relevant information needed in a specific job role which will significantly improve the chances of your resume getting shortlisted. Summary of experience of our faculty: . Who has over 25 years of diverse experience in Project Management, Technical Consultancy for Application/Systems Software Design, Analysis, Development, Testing and Implementation with specialization in Embedded Systems based on RTOS, Linux/UNIX and Windows Operating Systems. Mr. Anil also has good proven skills in Business Development, Consulting, Strategy Planning, Systems, Administration and People Management. Senior Design Engineer - OS Porting and Driver Development. Who has over 14 years of experience in Design and Development of Electronic Hardware and Embedded Software in the verticals of Avionics, Aerospace and Defense. He has worked on various aircraft Systems like Inertial Navigational System, Altitude and Heading Reference System and Fight Control System etc. Mr. Umashankar has rich experience in DO-178B certification of multiple certified software development for commercial aircrafts. He is also well versed with Device Driver Development in Windows WDM Architecture and Linux Architectures. Design Engineer - System Design and SoC. Who has around 9 years of varied experience from software development to teaching postgraduate students and training in the IT industry. She is very passionate about training and research and takes immense pleasure in sharing and enhancing her current knowledge through a healthy and interactive training environment. Her training skills doesn’t just come from her experience, she also takes a lot of inspiration from her father, who is a national awardee himself in the academic industry.